The number of your Gardner engine is stamped on the crankcase at the front, close to injector pump return spring. 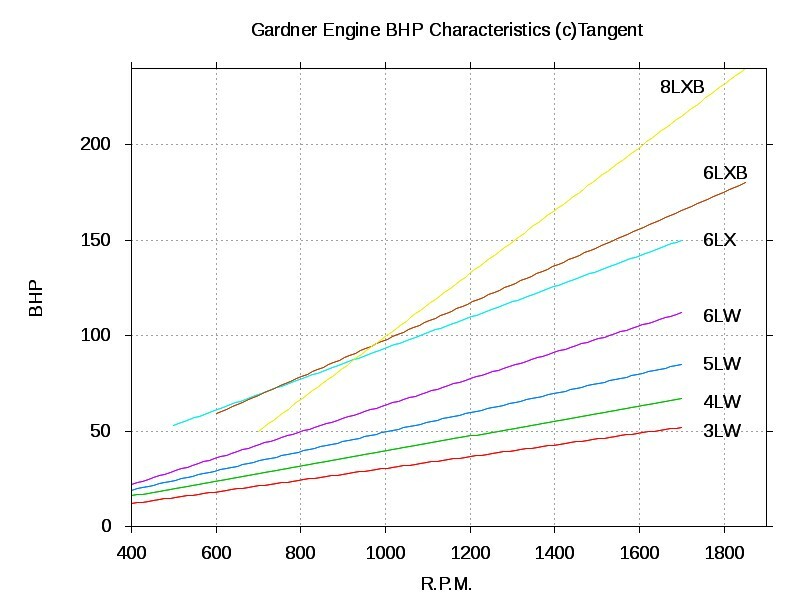 The example below features an LW engine, but the other models are the same. You may have to clean that area with a wire brush. The number will definitely be there. 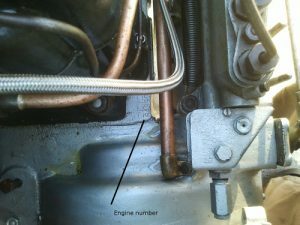 The return spring (1) tends to pull the rack (2) back to give the engine maximum fuel. 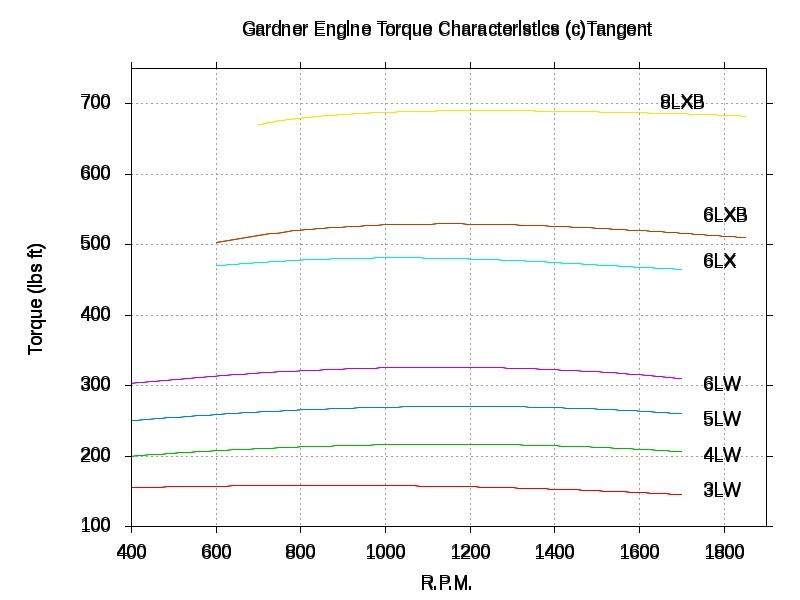 But as the engine speeds up the governor (not shown here) pushes the rack forward again and the rpm settles to equilibrium. Item 3 contains a buffer spring. As the rack is pushed forward by the governor, it buts against the spring (just not visible above). This prevents the engine from stalling. again it passes past the trigger which falls and locates the rack in its home position. Operating the plunger should only be necessary when the engine is cold. 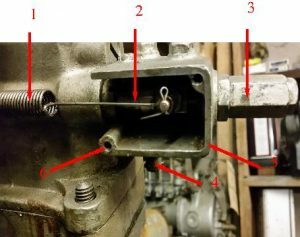 Operation of the excess fuel trigger can be checked by operating the rack and the plunger by hand. When the plunger is pushed up the rack should be felt to move backwards significantly. The complete housing cover (4) can only be removed from the pump top when the BA screws at 6 are taken out. Both hex set screws in the top can be removed to facilitate lubrication, one for the latching trigger and other for the buffer plunger.